one cruel way to die. and hint of a ring. I am a frequent visitor of the University of Maryland Observatory. The observatory has an ongoing “yard sale” of old things (textbooks from before quasars were discovered, old lenses, photographic plates for $1 a piece). At a public lecture and viewing night about a year ago, I came across three priceless original Lunar Orbiter posters from the late ’60s for 50 cents a piece. They were on photographic paper and had penciled in altitudes. The Lunar Orbiter probes are especially interesting to me because they were used to identify a smooth landing spot for the Apollo missions. 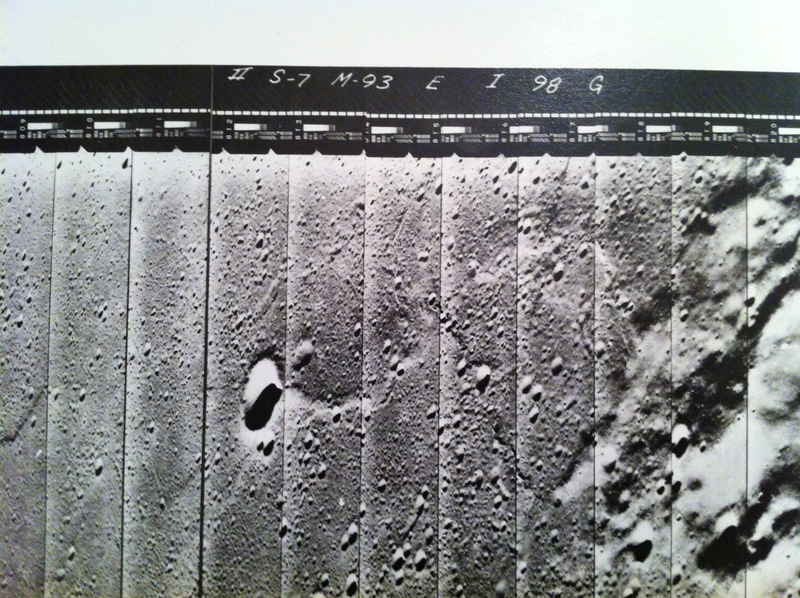 For two of the close-up view LO posters, I was able to identify the lat/long on the moon by comparing the slide numbers on the negative frame to the corresponding number in the Lunar Orbiter Photographic Atlas of the Moon. The oblique picture shown here has been a mystery. 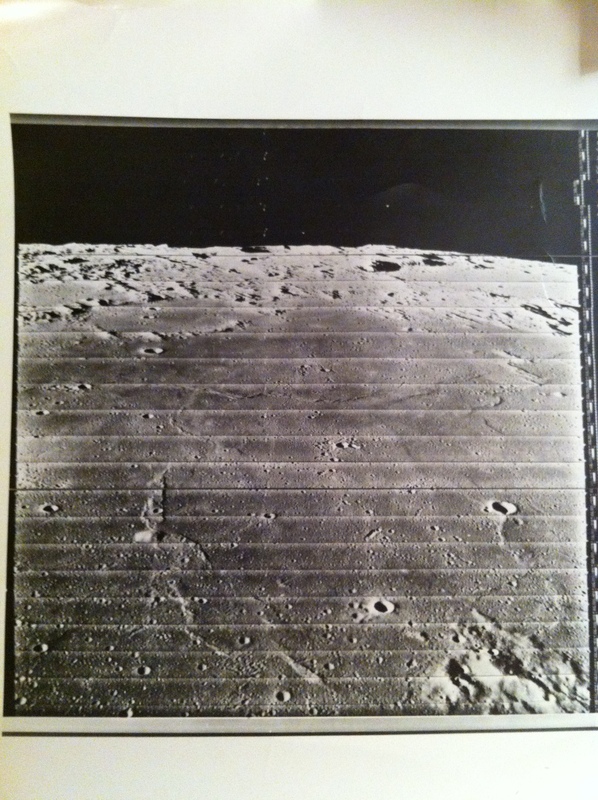 I’m assuming this is a Lunar Orbiter 2 picture because of the “II” in the negative frame, but I can’t locate the slide number. The numbers in the negative frame don’t match the photographic atlas. So librarians, amateur astronomers, and sleuths, please help me figure out what part of the moon is pictured here! You can do it by trying to decode the slide numbers in the negative frame.
. . . a homage to Wallace Stevens’ jar . . .
And bright it was, against the black. And wrapped around, no longer slowed. And tall and of a single mind. It took our questions everywhere. The probe was lean and spare. Like nothing else in outer space.